This was eerily similar to the classic Warriors games where defense reigned supreme, with a concentration of offensive excellence from the Splash Brothers, and the increasingly undeniable Andre Iguodala clutchness. 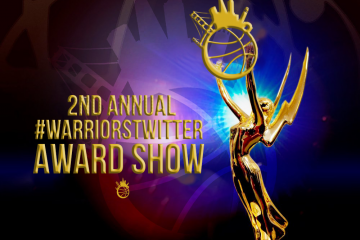 All culminating in another Warriors postseason blowout. Take out Stephen Curry, input Kevin Durant, and we have ourselves a mirror image of what has created this legendary run through the years, and a team that has smashed the on button as powerfully as one can imagine. It started like a regular season game. 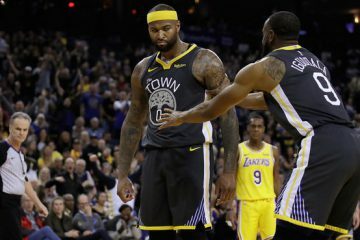 Draymond Green turned the ball over on the first possession, immediately picked up two quick fouls, and the Golden State Warriors were on their way to a classic 2018 effort. To encapsulate the full DGAF Warriors Experience, there were 7 total turnovers in the quarter and not a single one was forced. Bad defense, stagnant offense, and the cartoonish brickfest that led to a 25-23 finished after 17 points in the first half of the quarter. It somehow led to an even worse 2nd quarter where the oft-criticized LaMarcus Aldridge took over an ugly game that befitted his own style of play. The back-and-forth affair became so comically unwatchable that a single dunk by David West after nearly four minutes without a basket prompted a standing ovation from the capacity crowd. This coming after Klay Thompson tried to throw a pass off the backboard to himself, except the pass hit the top of the board and went out of bounds. I mean, I don’t even know what else to write. That’s the entire joke. Then just like that, when everyone doubted whether the switch still creaked upwards after the regular season, they turned it right back on after halftime. The gall, the arrogance, and the palpable deftness with which they waltzed out of the locker room and put down a 33-22 third quarter is becoming clockwork. It didn’t hurt that the San Antonio Spurs missed just about every shot possible, including 5-28 from distance. 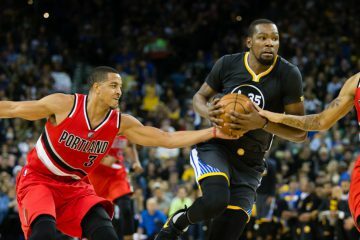 But the duo shooting of Kevin Durant (10-19) and Klay Thompson (12-20) remained the math problem that’s vexed the entire NBA the last three seasons. No, Durant wasn’t on the team but he aptly stepped into the shoes of Steph and didn’t miss much of a beat. 3-9 from distance and 9-10 from the free throw line for the guy that Steve Kerr called a “quiet 30” and Klay’s vintage 5-8 from deep made it nearly impossible for this Spurs team, and most any team, to come back from. To top off the trademark Warriors performance, Andre Iguodala nailed 4 3s, including 3 in the first quarter, and provided superb defense that rendered Rudy Gay completely invisible after a solid first half. He capped off his own postseason show with an alley oop that led to quite a staredown at Manu Ginobili. 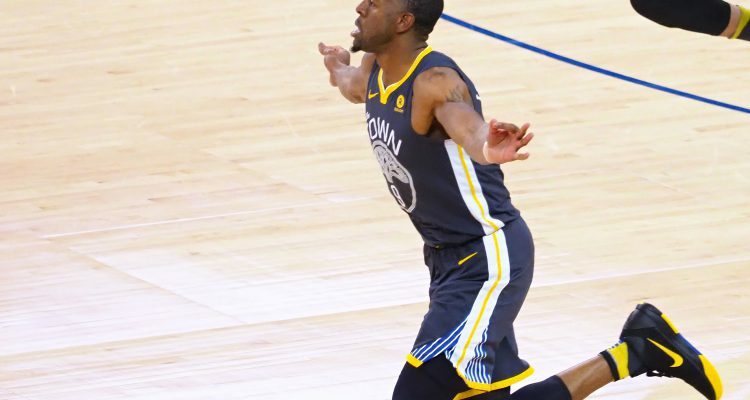 At this point, it doesn’t appear to be if but when Iguodala has a series-changing and season-defining moment against the Warriors greatest opponent, the Houston Rockets. In all, the Golden State Warriors took down the Spurs 116-101 for a commanding and quick 2-0 lead. Andre Iguodala waited 82 games and the absence of Stephen Curry to provide standard necessary histrionics. KD and Klay provided the superstar leeway that all great teams need to win these ugly efforts. 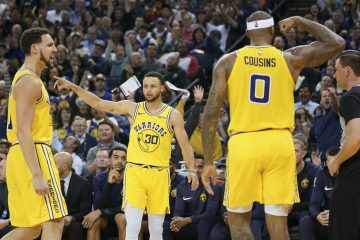 And as a team, the Warriors flipped on the lights just in time to avoid a letdown that would extend a series that both teams seem to understand needs to end sooner rather than later. Oh, and by the way, Stephen Curry looked quite physically ready pregame. The season is just beginning.